Are you looking for a reliable and trustworthy company to print your favorite picture on canvas? Then you have come to the right place at Superchrome. 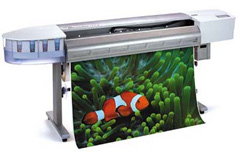 We are a premier digital printing company in the UK, making available a wide range of services. We serve many clients in the fields of advertising, publishing, and marketing through our printing services. Our print picture on canvas service is one of the specialized services, noted for its superior quality and timely delivery. Here at Superchrome, we can provide you with the best possible canvas picture prints. You may be a person looking for canvas prints for decorating your rooms. Or, you want the prints to give as gifts to your beloved ones on their special occasions. Whatever may be the occasion and requirements, you can make a good selection from Superchrome’s unique picture prints on canvas. We make use of high quality ultra violet resistant inks for printing purposes. Our canvas material is available in different formats and sizes to choose from. We shape our canvas according to the picture sizes. We also do giclee canvas printing. At Superchrome, we have our own online picture gallery with a vast collection of pictures ranging from classic images, designs, and patterns to modern and contemporary images and photographs. You can select pictures from our online gallery or supply us your own picture. If you have your own pictures, we combine our expertise along with your imagination to transform them into unique canvas prints. To print your pictures on canvas, send them to us through e-mail or any other convenient means. We will carry out the necessary changes required and send you the modified pictures for your approval before we start the printing work for you. Once printing is over, we deliver you the prints immediately within the specified time frame. And the amount we charge is reasonable and affordable. If you would like to know more about our print picture on canvas service, any of the projects shown or if you want to discuss any project you have coming up then contact us 020 7237 9333 or fax 020 7237 9444 or email sales@superchrome.co.uk. Our experienced personnel would be able to guide you appropriately.